A woman relinquishes her four-year-old son to tourists passing through town. Losing him, she loses the story of her future. A world away from her, the boy becomes a man without the story of his past. Decades on, the mother struggles on her deathbed to find the story that will release her from life; the son’s struggle is for the story that will allow him to live. Not Only the Things that Have Happened is a novel about the stories that make us and break us and then remake us. The novel takes place over a thirty-six hour period, travelling between far-flung places, characters, the past, and the future. Time is a character here, revealing that through the story of our present is always told for us, the story of the past and the future is ours to tell. While I know very little about the nuances of international adoption practices between India and the United States, the book piqued my interest, not only because of its transnational adoption scope, but because I’ve married into an Indian family whose members have been very supportive of my adoption and reunion journey, and who are also very connected to one another through kinship ties that I am only just beginning to grasp. Koshy herself told me that adoption policy was not necessarily the driving force that motivated her to write her book, but “to act as a corrective to the highly romanticized vision of adoption gaining currency internationally. While I am sympathetic to the dilemmas of my characters, each a different member of the adoption triad, I am keenly motivated to take a critical look at where power rests in the triad. The novel turns on its head the notion that orphans create adoption, finding instead that often enough adoption creates orphans.” Indeed, Koshy’s novel is not a shallow pulp read that glosses over the losses that transnational adoption creates. Within the first pages, Annakutty Verghese, the birthmother protagonist passes from the world, decisively halting any possibility for a “happily ever after” reunion between mother and son. I certainly appreciate Koshy’s efforts to shed light on the shadows that are cast by the transnational adoption industry. I do think that sometimes when revealing these darknesses, though, it is easy to victimize the adoptee and even the birthmother as agentless and uninformed, duped by the West’s interests in neocolonialism and manifest destiny, which is a fine line that Koshy treads throughout the book. While tracing the storyline through Koshy’s intersecting chronologies and grandiloquent prose is difficult in some places, there is never any doubt that Annakutty’s love for her lost son endures, that she is eternally his mother despite distance and time that separate them. For bringing that to light, Mridula Koshy, for bringing attention to the love and the people that are erased in sterilized, neoliberal mulituculturalist depictions of adoption, I thank you. 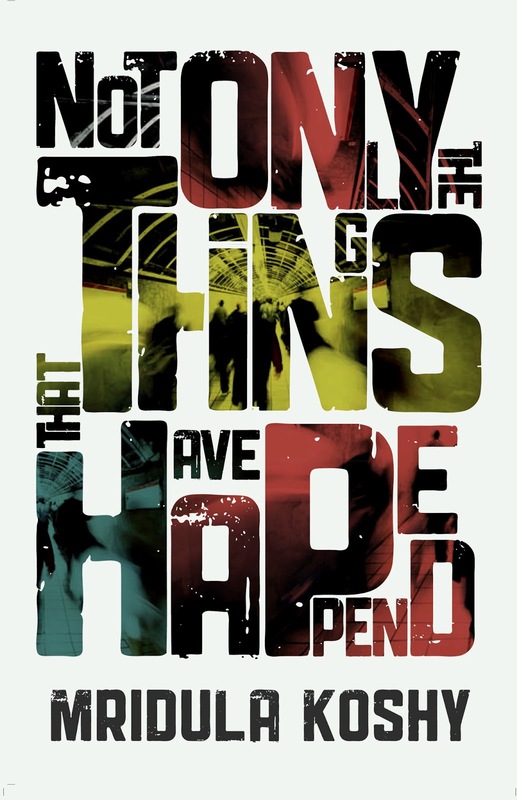 Copies of Not Only the Things that Have Happened are available on Amazon.com. For more information on Mridula Koshy and her writing, visit her blog.